"The jury and Moxy Frankfurt East would love to thank everyone who submitted artwork to this Creative Invite. There was a lot of interesting and thought-provoking work and the jury enjoyed looking through the work. The jury chose Edward Langlais work as it managed to incorporate three important aspects: local reference, wit and the opportunity of interaction. On the image some of the most famous aspects of Frankfurt are displayed, the apple wine with the original glassware and carafe as well as Goethe, the famous poet who significantly shaped Frankfurt and its society. At the same time the bridge and the party people give the local reference to the immediate surrounding of the hotel. The combination of all of those aspects led to the result that this image is the right piece to complete the overall public area design of Moxy Frankfurt East. - Jury Black Canvas Competition – Moxy Frankfurt East"
Following the success of the previous #MoxyBlankCanvas campaigns, Moxy Frankfurt East is on the hunt for the next Artist-in-Residence to debut at its Coming Out Party in October 2017. Street artists, live illustrators and graffiti artists from Europe* are invited to design a large wall mural to be used as a selfie-backdrop by guests staying at the Moxy Frankfurt East hotel. This will be Frankfurt’s first official “selfie wall”. To mark the opening, Moxy Frankfurt East is offering one visual artist from Europe the once-in-a-lifetime opportunity to have their work live on as part of the hotel’s permanent art collection. 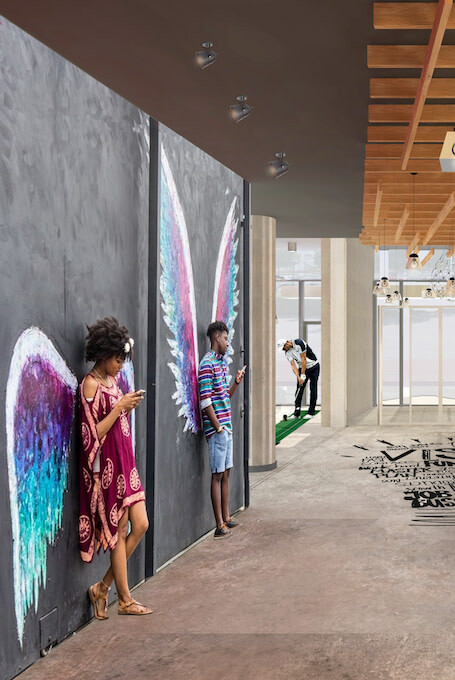 The selected art piece will be featured on a wall in the hotel’s public space and should inspire hotel guests and locals to take photos in front of the artwork and share them on Instagram. The wall measures 3m (H) by 5.42m (W). Moxy and its panel of judges are looking for artwork that embodies the spirit of ‘Getting Away With It’ and entertains their fun hunting travelers. The more fun, spontaneous and playful, the better. Before submitting, please read the 'Things to Consider' section below and check out this mood board. The Selected Artist will receive €4,000 plus €2,000 production budget to bring their design to life. The Selected Artist will be flown to Frankfurt to install their design in the hotel (between 10-20 October, 2017) and attend the hotel’s Coming Out Party on October 19, 2017 (travel and accommodation provided), attended by international media, influencers and other VIPs. Two Finalists will receive €500 each and potential exposure across @MoxyHotels and @MoxyFrankfurtEast Instagram channels. Please submit a visual/sketch/mockup of what you propose to paint/install in the hotel along with a Proposal Plan (pdf) outlining what materials you will be using and examples of your previous work. The Proposal Plan should keep in mind the production budget available. The proposed work should be 3m (H) by 5.42m (W). The wall will be within the public space of the hotel. 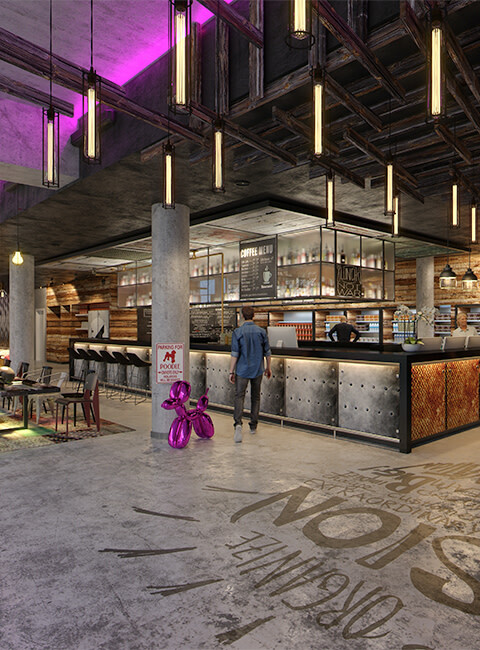 Please see further renderings and images of the space here. Please keep in mind that Moxy Frankfurt East is located in an industrial harbour area that has a lot of history - Moxy would be happy to see suggestions that incorporate this. Do keep in mind that the Selected Artist will be installing their art into the hotel within 7-10 days before the hotel’s Coming Out Party. Your proposal and artwork should therefore be possible to install (by one person, or you may use the production budget to bring in further crew) within the timeline. Check out this mood board for inspiration. When creating your work, you are encouraged to keep the Moxy brand's bold, playful spirit in mind as well as its ‘Getting Away With It’ attitude (please find more information below). The Selected Artist must be available to travel to Frankfurt for 7 - 10 continuous days between 10-20 October, 2017 in order to produce the wall installation and attend the Coming Out Party on October 19, 2017. You must include your Instagram @handle within your description or Talenthouse profile to ensure you are credited whenever your submission is showcased on the @MoxyHotels and @MoxyFrankfurtEast Instagram channels. Also if you are selected, you will be asked to share 10 posts on Instagram using #AtTheMoxy #MoxyFrankfurtEast #MoxyBlankCanvas so don't forget to get your profile up to date. Moxy Frankfurt East will become a meeting point for local entrepreneurs, while at the same time offering the travelling employees of the neighbouring European Central bank a unique design alternative to their day to day surroundings. The hotel’s industrial chic design refers to the architecture of the warehouses in its local neighbourhood, while styling and imagery are set to inspire start-ups to follow their dreams and think outside the box. The local area of Moxy Frankfurt East is demonstrated through various decorating elements in the hotel that refer to typical scenes and habits of Frankfurt, including witty local slogans, local food and drink products, and references to the juxtaposition of Frankfurt as a financial centre with a strong city art scene. Up for a good time? Moxy Hotels makes that easy with the heart of a boutique hotel and an attitude that doesn’t play by the rules. There’s a drink waiting for you with your room key and someone at the bar that wants your number. Moxy is for play… Jenga, karaoke, maybe a little game of spin the bottle? At Moxy, you can get away with it. Have their work displayed at the Moxy Frankfurt East hotel and be revealed at the hotel’s Coming Out Party on October 19, 2017. Be flown to Frankfurt to create their proposed work and attend the Moxy Frankfurt East Coming Out Party (travel costs up to €1,000 and accommodation will be provided). 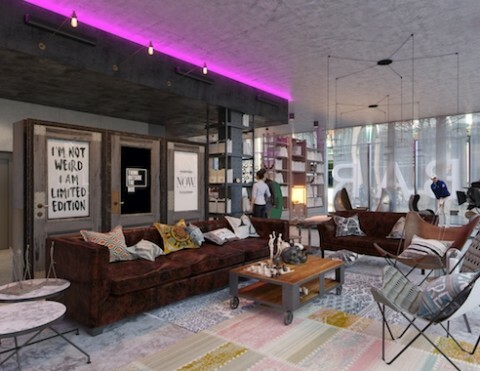 Become the official 'Artist in Residence' for Moxy Frankfurt East. Receive potential exposure across the @MoxyHotels and @MoxyFrankfurtEast Instagram channels. Receive €4,000 for their selected work and €2,000 production budget. Potential exposure across the @MoxyHotels and @MoxyFrankfurtEast Instagram channels. Please include your Instagram @handle within your description or Talenthouse profile to ensure you are credited whenever your submission is showcased on the @MoxyHotels and @MoxyFrankfurtEast Instagram channels. Corinna Bimboese studied history of art in Leipzig and Bologna. Since 2003 she has curated various exhibition projects and between 2003-2006 she held the position of Assistant at Galerie Anita Beckers, Frankfurt. In 2006 she established “Kunstfieber”, an exhibition platform and art service. In 2006 she became the Manager of the ATELIERFRANKFURT, a studio and exhibition house, which offers artists and creatives an interdisciplinary platform for production, presentation, and networking on a regional, national, and international level. Contura Planung & Design GmbH is the expert in innovative Interior Design for international and private Hotels and Restaurants. Contura is savvy with design standards of international hotel chains and creates the most unique ambiences. 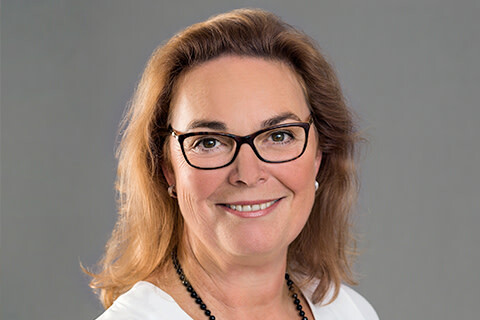 For the past 25 years, Barbara and her team have entertained investors and hotel management companies with attractive, high quality design resulting in fabulous finished products. After graduating from the School of Design & Media in Hannover, Sophie began her career with the EXPO 2000 in Hanover. 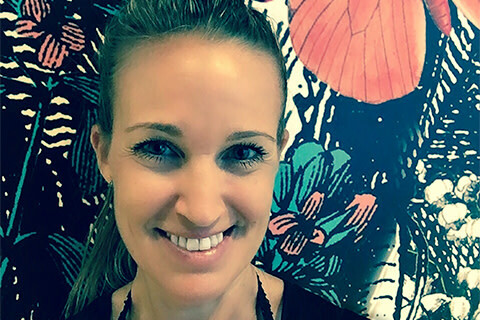 For a couple of years, she branched out into exhibition and retail design, but found her passion for designing hotels as Senior Interior Designer at Neudahm Hotel Interior Design, where she worked for over a decade. 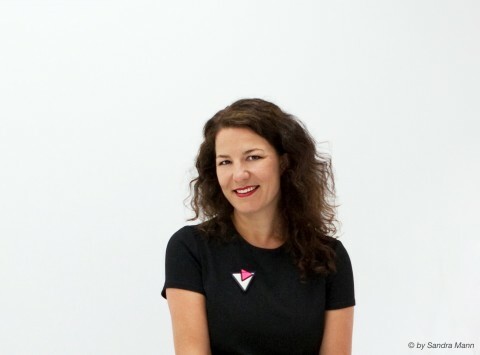 Now the Interior Design Director and Moxy design lead in Europe, she plays a critical role in the design for Moxy Hotels. The Creative Invite is open only to individuals who are at least eighteen (18) years of age and the age of majority in their jurisdiction of primary residence and who are citizens of the 28 countries of the European Union* or of Iceland, Liechtenstein, Monaco, Norway, San Marino, Switzerland at the time of submission. Citizens from the following countries are eligible if they are in the possession of a biometric passport: Albania, Bosnia and Herzegovina, Georgia, Macedonia, Moldova, Montenegro, Serbia, Ukraine. Multiple submissions (up to 10), no artist teams are allowed. Artists should retain their original artwork files in the highest quality possible but designs must be submitted in JPEG or PNG, max. size 10MB. The Proposal Plan of your project and previous work should be uploaded as a separate file to your visuals, please upload using the ‘Proposal Plan + Previous Work (pdf)' option. The description should be written in English. If selected you must be able to provide the artwork as a high-res vector file. When sharing submissions on Instagram, please use the hashtags #AtTheMoxy #MoxyFrankfurtEast and #MoxyBlankCanvas. All non-selected artists (and the two finalists) retain ownership in their work. There is no assignment of any intellectual property rights in your work to Moxy. However, by submitting you hereby grant to Moxy a worldwide, non-exclusive, royalty-free license for three months after announcement of the Selected Artist to use your submitted work across their various marketing platforms in association with Moxy Frankfurt East. All artists will be credited accordingly. The Selected Artist assigns all rights, title and interest in and to the selected work to Moxy. The selected work will be on permanent display at Moxy Frankfurt East and used across the various marketing platforms of Moxy. The selected work may also be used on items for sales and giveaways. For the incentives set forth above, the Selected Artist will have to sign a Release Form. The Selected Artist must be available to travel to Frankfurt between 10-20 October, 2017 in order to produce the wall installation and attend the Coming Out Party on October 19, 2017. Moxy Frankfurt East will cover the travel expenses up to €1,000, provide the accommodation and manage the travel logistics. The Selected Artist must have a valid passport to travel to Germany. The Selected Artist will also be required to share 10 posts on Instagram using #AtTheMoxy #MoxyFrankfurtEast #MoxyBlankCanvas from the opening (2 posts), in the 3 months after opening (4 posts) and for the remaining 10 months of the year (4 posts). The Selected Artist and Finalists must respond to Talenthouse within two days of receiving the notification email or else will forfeit all incentives. Moxy Frankfurt East and their panel of judges will select from all qualified submissions. A qualified submission is one which meets all the Terms & Conditions, Guidelines and Official Rules.